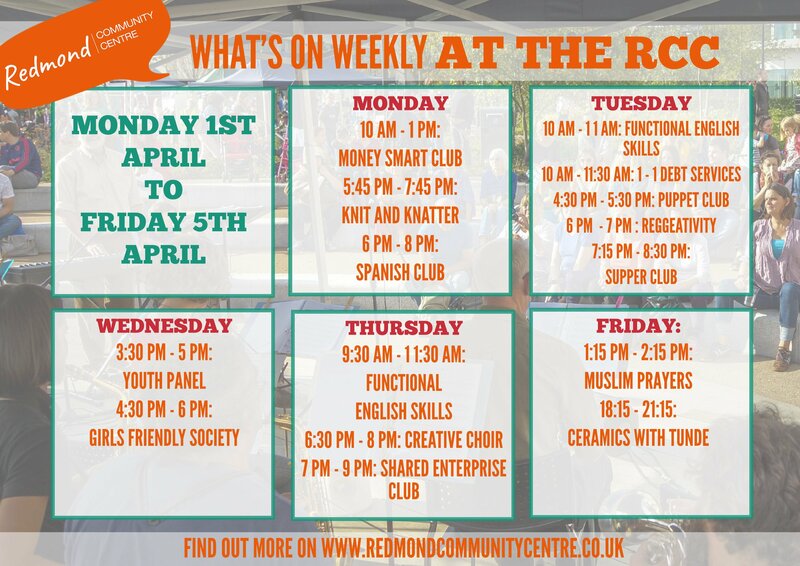 See what events and exciting activities we have going on this month at your community centre! 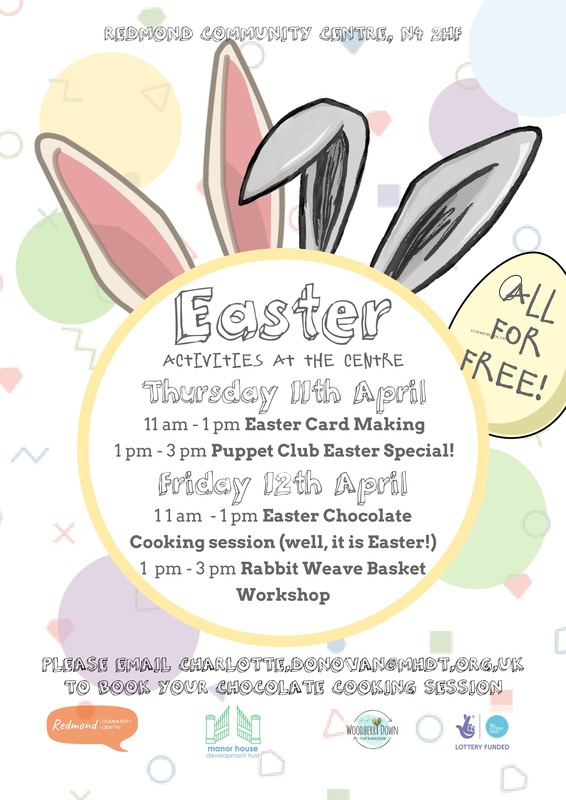 Easter workshops for youngin’s and grown ups from card making, puppets and of course some chocolate frown into the mix! Being a working mum, or if you’re a mum thinking about getting back into work can feel daunting. 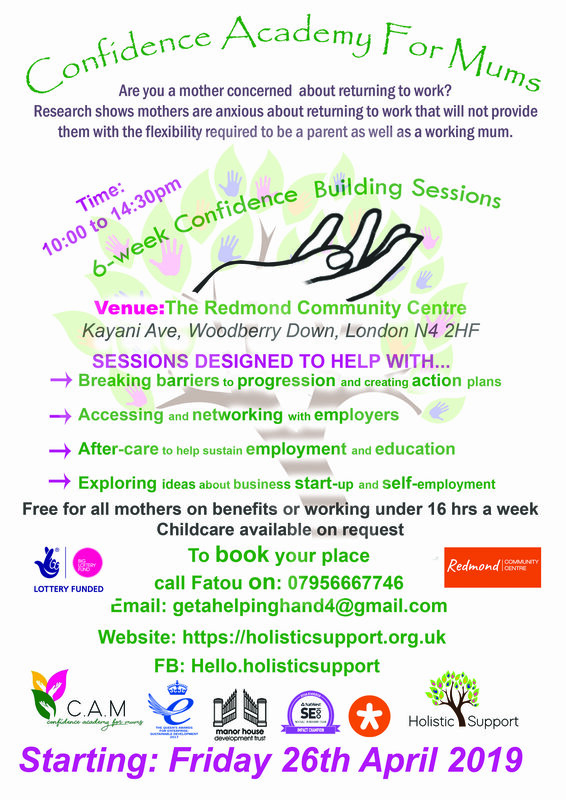 But ‘Confidence Acadamy For Mums’ is there to support you on your journey. 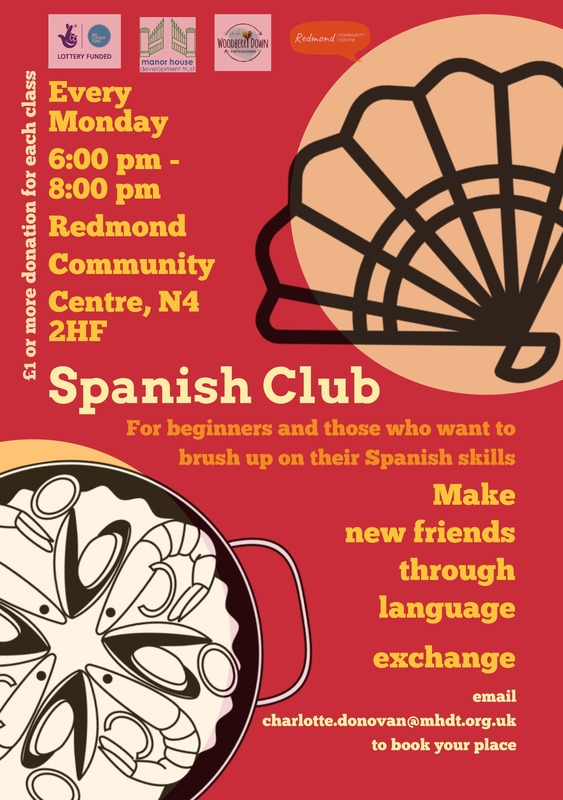 Spanish Club runs every Monday from 6pm – 8pm! Learn the Spanish lingo whilst making new friends! 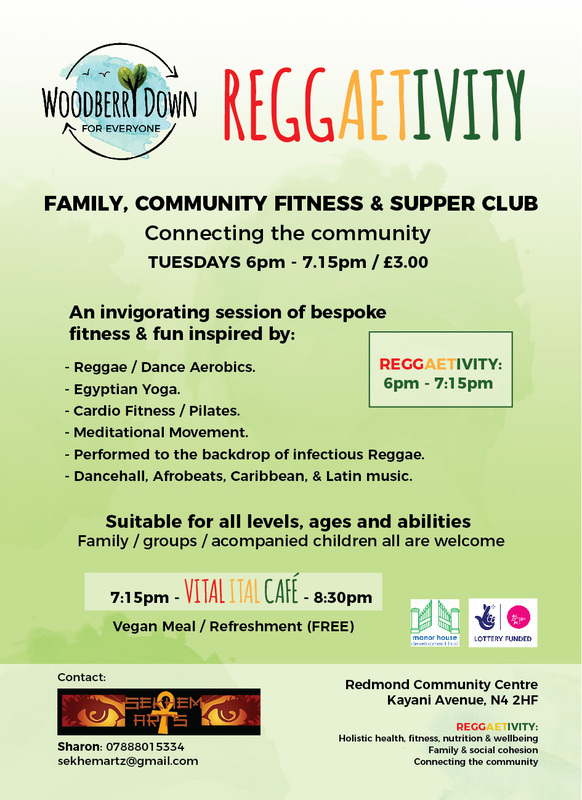 A vigorous and energic reggae inspired workout followed by a free delicious, vegan supper every Tuesday at the Redmond Community Centre. 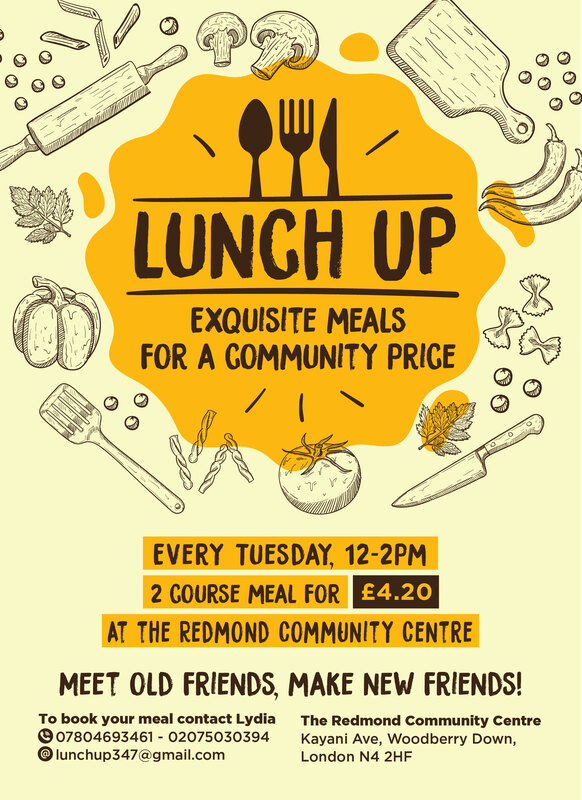 Enjoy great lunchtime food along with great lunchtime company. Getting stressed and overwhelmed with money worries? Hackney Money Coaches are on hand to give advise and to train you to become a Money Coach yourself!